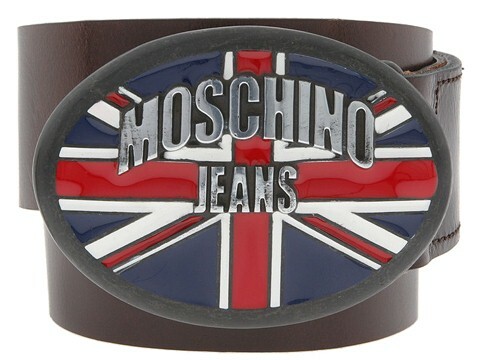 Show you don't skimp on accessories with this belt made of rich cowhide leather. Single tongue trophy buckle with Union Jack design. 1 3/4 width. Made in Italy.